availability of powdered milk as an alternative. Inflation in Kenya is quite high, rarely falling below double digits. Many reasons have been fronted as the cause of the high inflation, including an expensive dollar and high bank rates. With a fast growing economy, Kenyans have also been one of the factors driving inflation, with their spending habits. Wonder not how Kenyans drive inflation. I once frequented Githurai town, a busy trading point along Thika Road, centred around what was once a roundabout, now a flyover. Githurai hosts what they would call a bustling market. Barter exchange still thrives vibrantly here, mostly through involuntary exchange of phones, pocket items and other items you own, to people who will sell them to other people who would like to own them. No, that's not how Kenyan's drive inflation. See, I used to travel from Kenyatta University to Githurai a lot, in a bid to beat inflation. See, the fare charged to town by those badly driven Githurai buses was almost a quarter of what you would pay if you took a 14 seater matatu direct to town. My cost calculations showed I was so broke that the loss of my pockets being emptied out, even with my hands in the pocket, was lower than savings I stood to gain. The fare from KU to Githurai was mostly Ksh. 10, though quite a number of matatus attempted to make ends meet more than once by doubling the fare. The choice was left to the passengers, they could opt to wait for a Ksh. 10 matatu, or pay the Ksh. 20. Quite a number of passengers would board the Ksh. 20 matatus, making the patient broke amongst us wait for standard fare matatus. At some point, there would be only ksh. 10 passengers at the bus stop, and the matatu would have to drop the fares. It therefore meant that we spend time waiting for a cheaper matatu, because there were those who were ready to pay double the standard fare. Strangely, it seems ladies were usually more willing to pay for higher fares. A few years later, I have joined the bandwagon ready to fork out more when the estate matatus raise their fares. I argue the Ksh 10 or Ksh 20 I stand to save is less than the cost of time I will have to spend waiting for a cheaper matatu. Sometimes, I'm just too tired to wait for one. The fact that there are many estate passengers ready to pay above the standard fares is detrimental, especially for low income earner in the neighbourhood. The matatus will cash in on the trend for a number of days. Again, the matter can be avoided for estate matatus. There are about 2 other matatus that one can take to a point they can walk to the estate, all cheaper than estate matatus. However, few consider them, maybe due to the walking distance involved. However, the distance from the CBD to the bus station, where estate matatus are, is almost equal to the distance from Mombasa road to the estate. The other 2 options can be picked around the CBD. A few months ago, milk prices abandoned their Ksh 35 ceiling and went up by Ksh 10 to around Ksh 50, something which has not happened before in Kenya's history. It was at the end of the dry season, milk produces said milk demand was high and there was a huge shortage in supply. In 2011's rainy season, milk supply was so high that the same packers of milk went 2 for Ksh 20 . National TV brought us footage of milk processors pouring excess milk to the ground. In 2012 , the rainy season arrived, but it didn't rain, it poured, through for a couple of weeks only. The milk prices did not bulge, even a penny, until 2 months later. 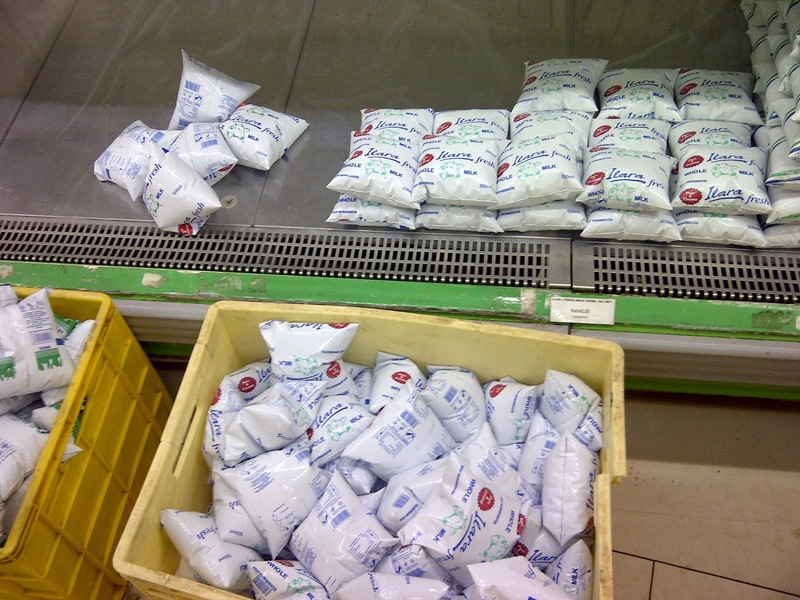 Recently, Ilara announced that they had reduced their milk prices to Ksh 35. Ksh 20 for 2 packets of milk will remain a deal sweet enough to take its place in our history books, to those good old days that they keep reminiscing. Kenya's economy has grown to a point it sustains high milk prices, or maybe the milk processors did find a more lucrative milk export market. Kenyans did not feel a pinch, forking out every penny for the precious products of cow teats. Powdered milk, despite being a way cheaper alternative, even for the expensive brands, stays in supermarket shelves, for the poor. 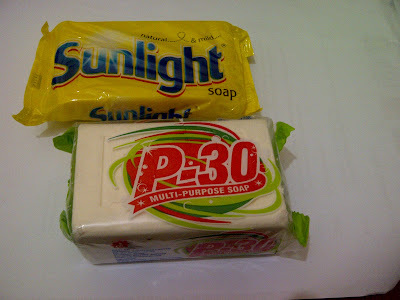 Sunlight soap makes a very good general purpose laundry soap. It's so good, its price went up from Ksh. 28 to Ksh. 40 in just a few months. 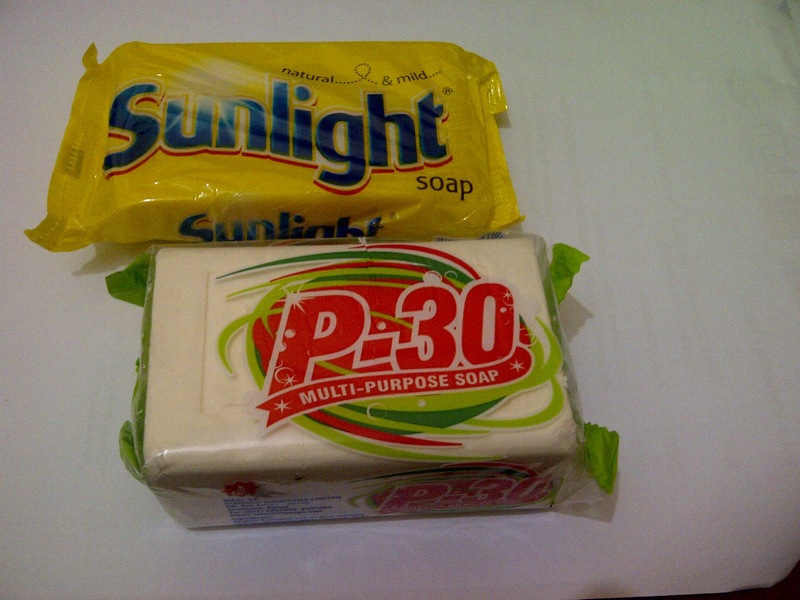 It's so good, we keep buying the soap, despite there being much cheaper alternatives like P-30. P-30 goes for Ksh 39 and is one and half times larger than Sunlight. Maybe a cheap soap with a name that sounds like a formula is just that. Such is the spending pattern as more Kenyans have more to spend. While those selling goods and services will hike the prices due to the higher demand, Kenyans will be kind enough not to spend their easily earned cash on cheaper alternatives.